Registration may be completed online using the Residual Stress Summit Registration organized by the University of Dayton. Included in the registration are all technical sessions, Welcome Reception, Banquet, social evening, lunches and coffee breaks. The early-bird (up to September 15, 2017) registration fee is $600 for Summit participants, $350 for students and $350 for guests (social events only). 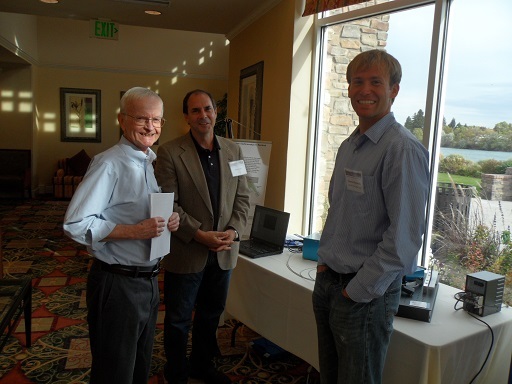 The fee for the optional pre-conference short-course on Hole-Drilling Residual Stress Measurements is $160. Regular registration after September 15 is $700 Summit participants, $350 for students, $350 for guests and $160 for the short-course. When using the online Summit registration system, there is no need for additional registraton with the payment site. Instead, use the green "Continue Unregistered" button to proceed directly to make your payment. The technical sessions will be held on Tuesday-Thursday, October 24-26. Please plan to arrive on Monday evening, October 23, to attend the Welcome Reception, or Monday morning to attend the short-course.